CCF offers a variety of educational and vocational rehabilitation/career development programs, family support services, and residential housing assistance for CCG clients and their families to help stabilize their recovery. Moreover, CCF is devoted to strengthening the community through its “Adopt-A-Park” campaign and civic art projects, as well as by developing positive leaders who understand both the tragedy of addiction and the triumph of recovery. 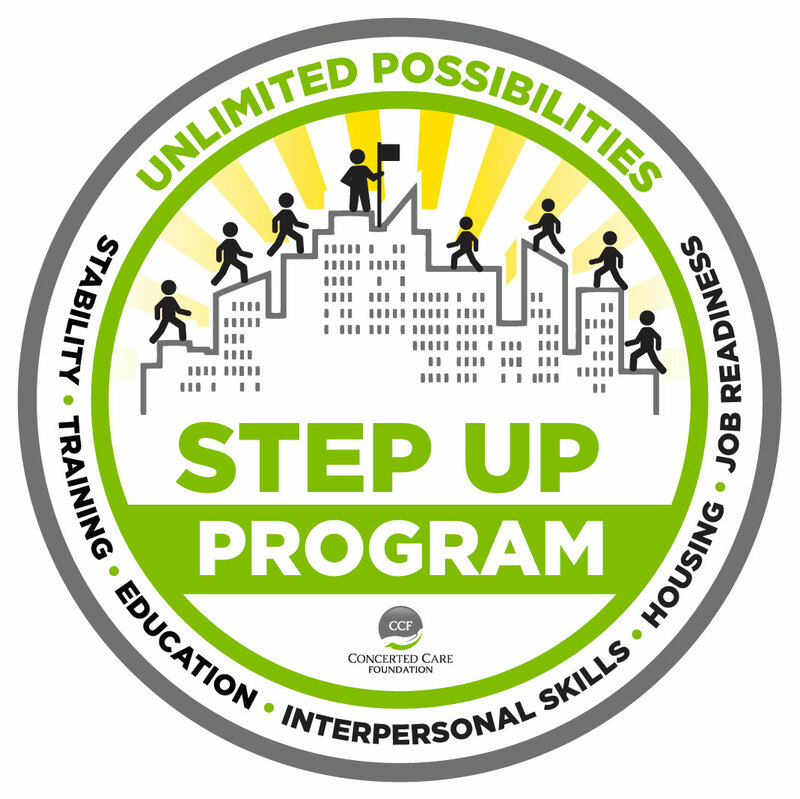 The Step Up Program is a motivational incentive initiative that rewards participants by celebrating short-term goals while progressing towards larger, long-term career goals and independence. The program also includes a treatment approach designed to help CCG clients in recovery remain abstinent. The goal of the Step Up Program is for each participant to achieve a healthier, more rewarding life by specifically treating the whole person (i.e., body, mind, and spirit). We believe a person cannot be well, physically, if he or she is unable to navigate the transitions of life (e.g., career aspirations, financial security, residential security, and a sense of purpose). Participants earn 25 points for 1 hour of an activity, such as landscaping, volunteering, or restoration; 2 hours would earn 50 points, etc. Participants can also earn various gift certificates, which can include, but are not limited to: movie night; dinner at a restaurant with a friend or loved one; entrance into the Job Readiness Program; and eligibility for residential opportunities. More than 70 clients have been referred to the Step Up Program, and there are currently 20 active members. Think Step Up might be right for you or a loved one?